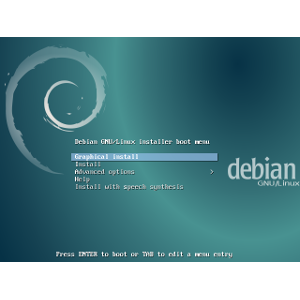 Since the previous blog post, two Debian Installer release candidates were published, so both will be mentioned in this blog post. As mentioned in the Plans section of the Stretch Alpha 8 summary: with the full freeze coming up, it made sense to switch from the Alpha numbering to the Release Candidate one. That’s why Cyril published the Debian Installer Stretch RC 1 release on 2017-01-15. Unfortunately, some blockers were found with merged-/usr setups, so the new debootstrap default was reverted. Even if some of these bugs were fixed in the meanwhile, it seemed unreasonable to enable the new code again near the end of the stretch release cycle, so it’s going to be postponed until after the buster release cycle has started. The Linux kernel was switched from the 4.7 series to the 4.8 one in this Debian Installer release. The apt-setup component has been tweaked so that it offers to scan more discs depending on the installation image. This should make it easier to handle several installation media, for example when extra firmwares are needed. The network configuration component (netcfg) will now write fewer lines in /etc/network/interfaces when a static configuration has been chosen: netmask, network, and broadcast lines are going away, since setting the prefix length is likely sufficient. It’s now possible to use HTTPS repositories, through the addition of a wget udeb (along with trusted certificate authorities through another ca-certificates udeb), which replaces the wget command provided by the busybox package (which only comes with a limited set of features). As planned, the switch to the softWaves theme happened, and the bug fix for the remote installations has been merged as well. Since the Linux kernel team was finally moving towards the target kernel version for Stretch (4.9, even if earlier discussions mentioned 4.10), it seemed like a good idea to get a new Debian Installer released as soon as possible, which explains why Debian Installer Stretch RC 2 was released on 2017-02-02, only a few weeks after Stretch RC 1 . This component is used to determine which other operating systems might be hanging around on various partitions and discs, and it’s used e.g. by update-grub to include menu entries for other Linux distributions, Windows, etc. Unfortunately, its historical operating system detection code has been triggering issues in some environments involving virtualization, which ended up in data loss in some cases. The relevant code was heavily overhauled, and one might hit some regressions with new versions of this component (1.72 and later). Details about these significant changes can be found in the changelog entry for the 1.72 upload, and one might notice that the preparations for this new release candidate resulted in a last-minute regression fix in the 1.74 upload. Similar issues have been reported with the dmsetup create command hanging, leading to a frozen progress indicator when grub is being set up (see bug report #853927). This can be worked around by switching to a console and killing the dmsetup process (see this message for more details), until this issue is fully diagnosed and fixed. Evaluating and reassigning installation reports for Stretch RC 1 and Stretch RC 2 which have been filed lately. That’s usually how the Debian Installer team learns about regressions and use cases for which the installation process isn’t flawless. Fixing bugs which were already reported and identified, but which are still unfixed. Priority is usually given to those with serious or important severity, even if some changes for lower impact issues happen to be merged in the process from time to time. More to come in our next Debian Installer report! A look back on the last release candidates of the Debian Installer before the final Stretch release.